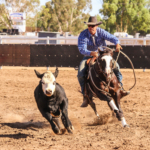 The Australian Stockman’s Challenge Association was formed in July 2013 with a vision to grow and promote the Sport of Stockman’s Challenge’s across Australia. Our commitment is to assist existing Challenge committee’s; embrace new committee’s, encourage improved horsemanship, develop youth and provide a platform to showcase our talented Under 5yr old horses. 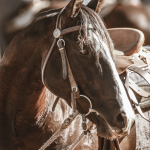 Our commitment and vision is to continue to grow the discipline of Stockman’s Challenges for the mutual benefit of all involved be they a breeder, owner, trainer, rider, professional or non-professional. Our discipline is currently experiencing exponential growth, we are this year expanding into NSW & Victoria, with recent enquiry from WA & SA. It is an exciting time to be involved in the Stockman’s Challenge discipline. 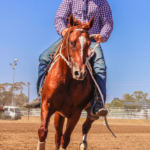 Over the 30 years since inception, Stockman’s Challenges have become the benchmark to attest to a rider’s ability to train horses and testimony to a horses breeding. 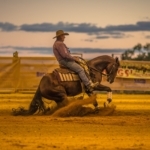 Challenges are multi-disciplinary; appealing to Reiners, Cutters, Campdrafters & Show riders. 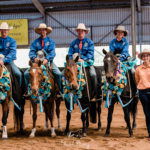 Those who have won a Stockman’s Challenge are celebrated within the performance horse industry as the very best Horsemen you will find. 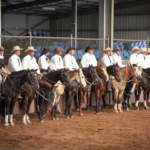 Stockman’s Challenges are a unique Australian sport; designed to commemorate the Australian Stockman’s horsemanship skills. 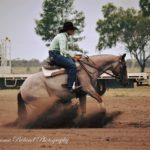 They are now a modern day tribute to the stockmen and women of years gone by; an acknowledgement of the skills required to work cattle in the bush. A Stockman’s Challenge event consists of a Dry Work pattern and a Cattlework phase. 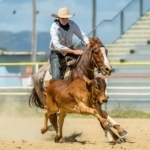 Both of these phases are designed to test the ability of horse and rider. The Dry work pattern contains spins, sliding stops & roll-backs. 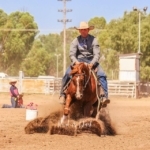 The cattlework phase is similar to a campdraft and seeks to identify a horse that can easily control a beast and demonstrates his intended purpose of working cattle in the bush.